Google has tweaked its Apps for Work productivity suite, with a change to the Admin app for Android that makes life easier for many admins. Previously, only super admins could use the app, but now Google has made it available for the benefit of delegated admins, noting that it recognises the latter have 'highly important responsibilities' and should be able to access functions while on the go. Naturally enough, though, said admins will only get access to the features which are part of their delegated responsibilities. This change is being rolled out now, and delegated admins should be able to use the Admin app (which they can grab from the Play Store) in the next couple of days. Of course, Google is constantly tinkering with the Apps for Work suite, and another recent change to the Admin console allowed admins to see the real-time status of users when it comes to the process of enrolling for two-step verification. 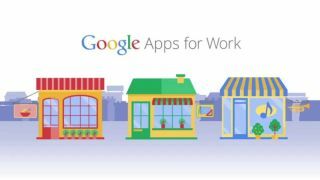 But while Google is certainly pushing hard to grab as much of a share of the productivity arena as it can, sentiment from the recent Microsoft Worldwide Partner Conference indicated that Apps for Work is losing ground to Redmond's Office 365 juggernaut.